My canary recently had a large blood blister on his breast. It got about as big as a thumb. The bird store guy opened it with a pin and drained it but it just filled up again. We tried doing the same at home and it filled up again. Finally, I cut a couple of longer slices about 1/4 inch each. My theory was to get it open enough to get some air in and large enough so it would continue to drain and not fill up again. That worked! I believe it healed inside. It began to shrink and eventually disappeared. We did not use antiseptic. Since it was a blood blister, the real wound was inside the blister where it was leaking blood. We felt that air from 2 larger slits that would not rapidly seal up would cause it to clot inside and stop bleeding into the blister. That worked. 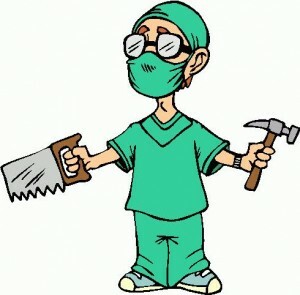 Whenever this type of surgery is done there is always the possibility of an infection in the open wound. I would have applied antiseptic for a few days just to be safe. I'm very glad to hear everything turned out fine. That's GREAT! Really a good job and trust me if I were you I might just keep visiting the clinic :) It takes courage and self belief and I guess you have both! It has really great knowledge thanks for the post. Click here Buyassignmentservice.com there is a lot of work and get the best thing for it. The way you take care of your canary is simply exceptional. They too sensitive and it's hard to deal with them. I would like to own a canary but right busy to write my college essay. But i consider all of your tips in making my little dream possible.